Match with: 70% cocoa dark chocolate, which I found to have the ideal ratio of cocoa to really bring out the sherry wood influence in the whisky. Tamdhu was established in 1897 and it produced whisky for about 113 years, and then it ceased production and fell silent. Ian Macleod distillers then acquired the distillery and picked up the baton in 2012, and it has decided to re-introduce Tamdhu into the market with the release the Tamdhu 10 year old. On the nose caramel and vanilla chocolate fudge sit beneath honey, plump sultanas, honey nut crunch, sliced green apples, golden honey and dried Autumn leaves, as jelly beans (red, green, black and white in particular) cut through the underlying malt with hints of anise, mint leaves and freshly waterproofed suede and treated new leather – it reminds me very much of a red leather hand bag full of jelly beans, with notes of sugary anise, red berry, coconut, pear and mint accompanied by a “new car smell”. On the palate the whisky is immediately sweet, with brown pear nectar developing with dark chocolate, cherries and toasted coconut, cinnamon, dried paw paw and honey drizzled over toasted muesli as a drying vegetal and nutty bite is softened by layers of caramel and toffee apple. The finish presents with sugar dusted lemon rind and tropical fruit in syrup, as the sherry wood lingers on the tip of the tongue with notes of golden honey and toffee. Overall, Tamdu 10 year old is a delicious sherry matured malt whisky that I have found far too easy to drink. It might take some seriously strict self-discipline to stop at one dram, especially where this whisky is paired with a 70% cocoa dark chocolate. 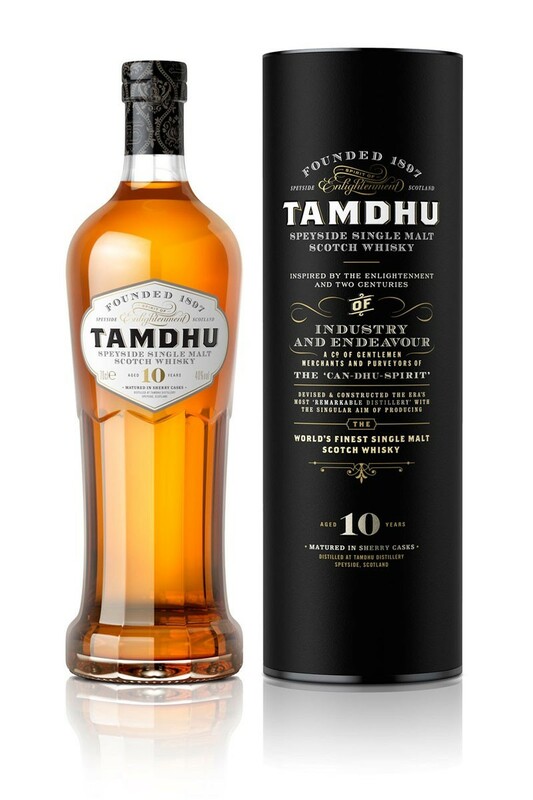 On its own Tamdhu 10 year old is a delicious malt, but when paired with 70% cocoa dark chocolate the sherry wood influence in the whisky really comes to life on the palate. Lucky I went for an extra-long swim this evening, because without much thought I’ve just gleefully wolfed down half a block of Lindt dark chocolate and four drams of Tamdu 10 year old. This is the life. This entry was posted in Speyside and tagged Chocolate, cocoa, dark chocolate, lindt, Scotch, sherry, speyside, tamdhu, whisky. Bookmark the permalink. I had one tasting note in mind when recalling Tamdhu – and it seems you agree with me! Chocolate! And it is delicious – although where I can track down a bottle in Australia, I’m not entirely sure.